Santiago Calatrava가 시편 150:3, “나팔 부는 소리로 여호와를 찬양하라. 하프와 수금으로 여호와를 찬양하라. (Praise Him with a blast of the trumpet; praise Him with the lyre and harp! )”에서 영감을 얻었다는 ‘Bridge of String‘의 완공이 이 달말로 다가 오고 있는데도 아직 논란이 있는 모양이다. 전에 언급했던 내용보단 완공을 앞 둔 교량과 관련된 현실적인 문제점들이 불거져 나오고 있다. 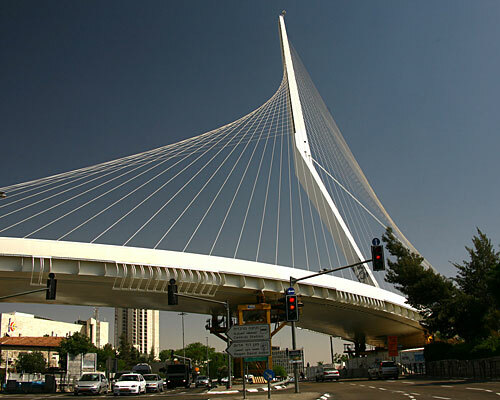 This entry was posted in 세계의 교량 and tagged cable stayed, Santiago Calatrava. Bookmark the permalink. Post a comment or leave a trackback: Trackback URL.